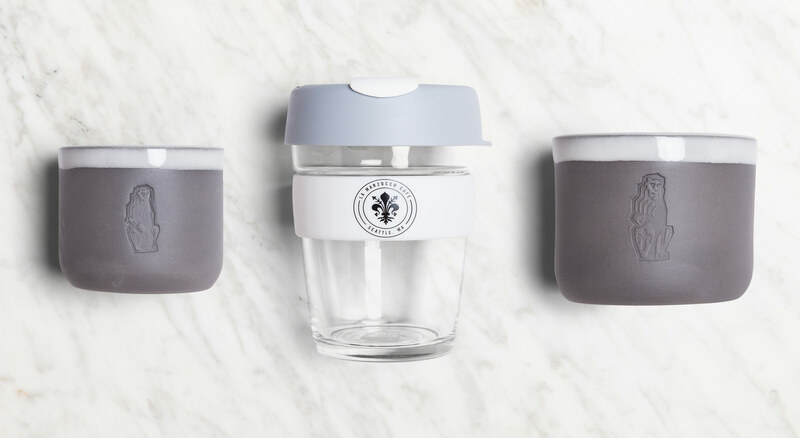 Whether you’re shopping for the home barista or you’re a home barista trying to drop some major gift hints, we’ve got you covered. We’ve put together a list of some of our team’s very favorite home espresso equipment and accessories. This list is filled with carefully-crafted equipment and accessories designed specifically for the barista at home. Oh, and if you’re hoping to order a machine in time for December 25th, be sure to place your order by December 11th to ensure you’re making espresso throughout the holidays. Happy holidays! 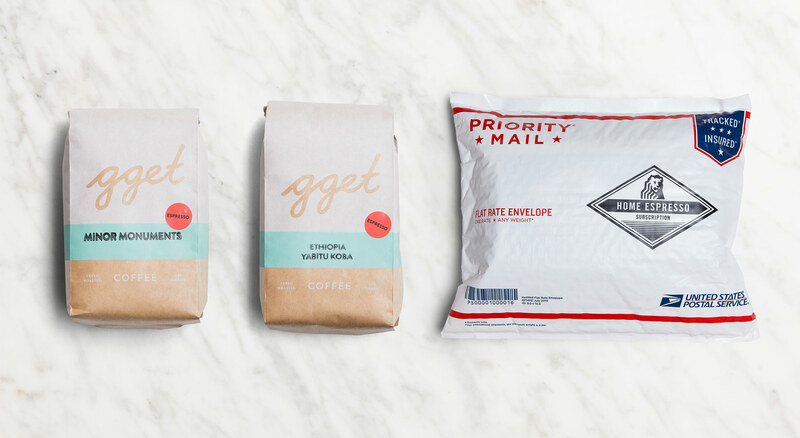 A coffee subscription for the home espresso enthusiast. Each month, we’ll send two bags of espresso from a different roaster around the world along with coffee information, brewing recipes, and more! 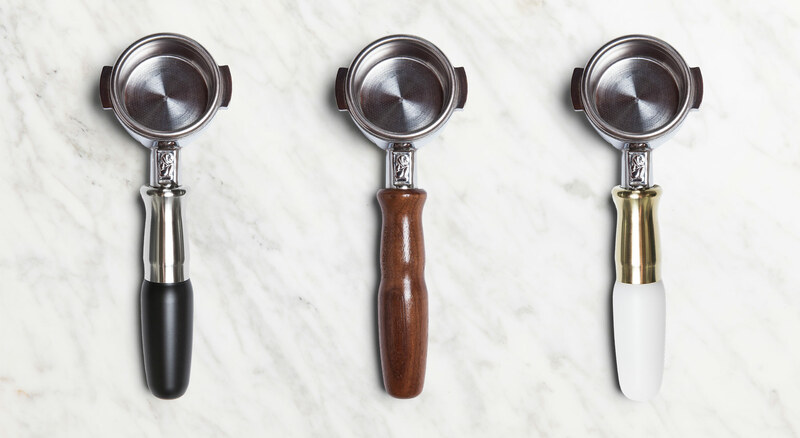 There’s no better way to explore the wide world of espresso than with this subscription. 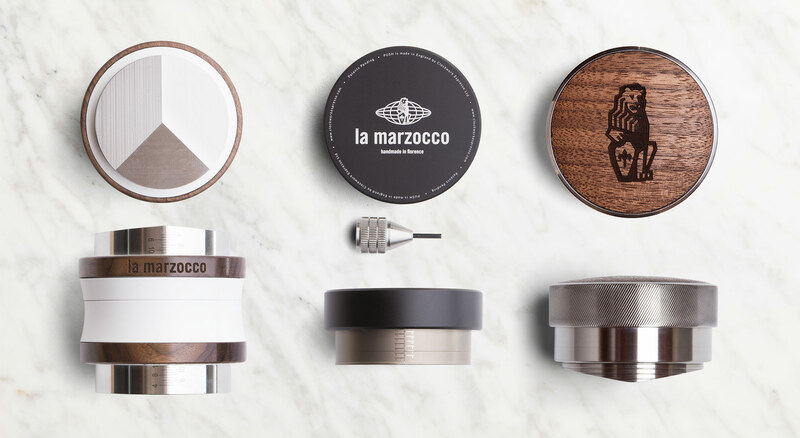 Tamp and distribute in style with one of our custom La Marzocco tampers or distribution tools. These tools are essential to a consistent and balanced extraction, and are an easy way to upgrade any home espresso setup. 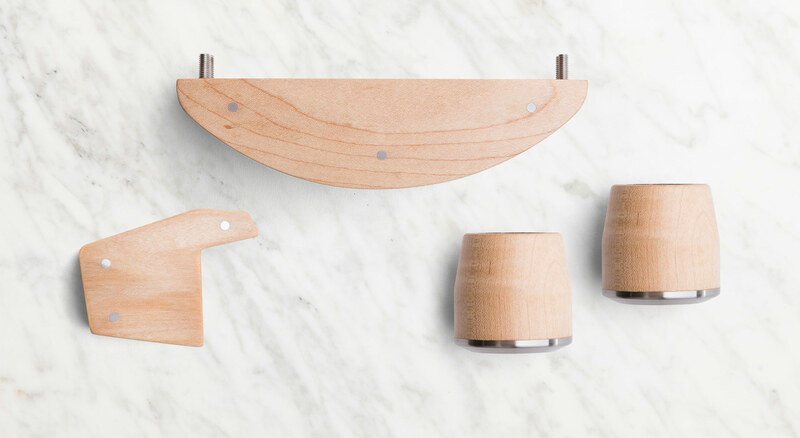 Shop our selection in black, maple, walnut, and more! 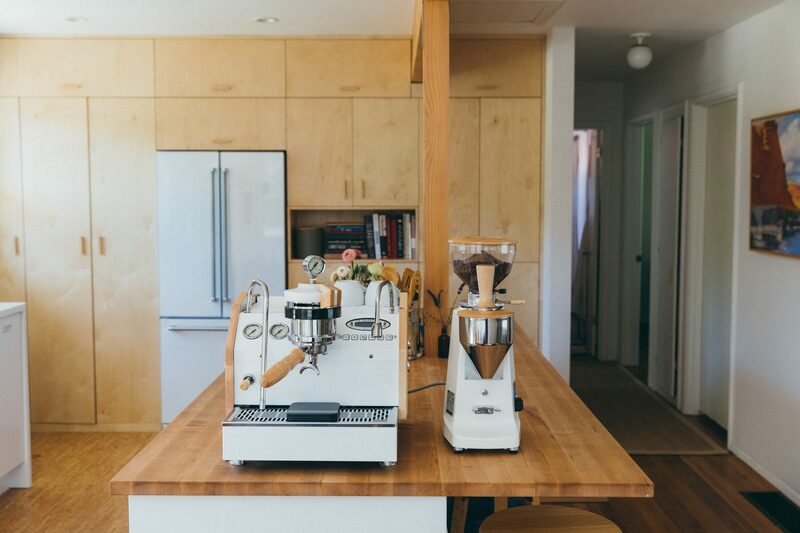 The ultimate home espresso machine upgrade for the ultimate home barista. The GS3 is a truly professional espresso machine made for the home. Completely temperature stable, this is a dual-boiler machine with a built-in water reservoir, high-powered steam, and digital programming, all on 110V. 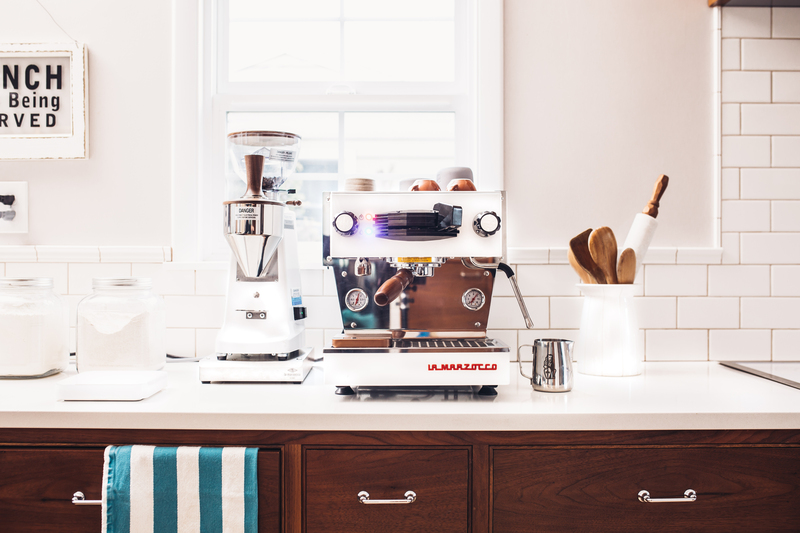 The La Marzocco GS3 puts nearly a century of espresso machine on your countertop. Build and customize yours using our GS3 Configurator. Questions about the machine. Email Dave Bise or drop him a chat using the orange intercom button at the bottom of this page. Bring home a machine inspired by an espresso icon. The Linea Mini is a kitchen-sized version of the Linea Classic, a machine loved by thousands of professional baristas around the world, and at the heart of your favorite cafés. The Linea Mini is an analog, dual-boiler machine for the espresso purist. Choose your Linea Mini in Stainless, White, Red, or Black. Maple is in. Make the Linea Mini your own with our Maple machine kit. 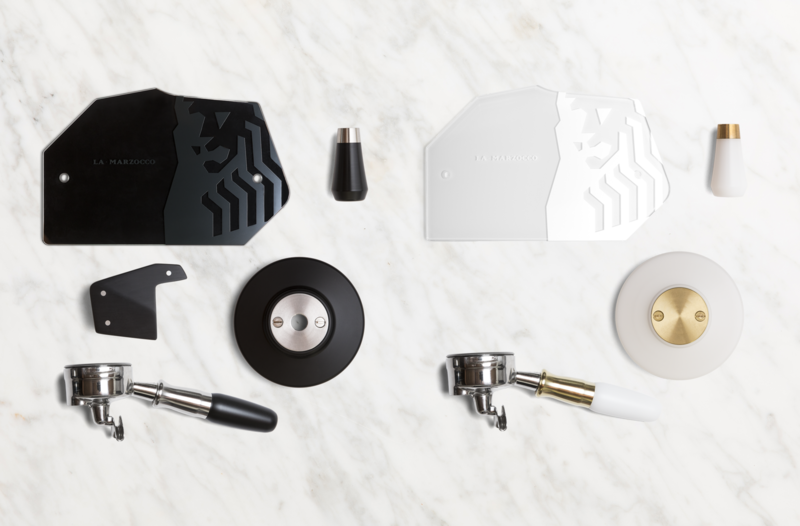 Designed and crafted in Seattle, WA by Pantechnicon Design, the Linea Mini machine kit come with custom steam knobs, group cover, brew paddle, and double-spouted Portafilter. Give your machine a new look and feel with one of our all-new Machine Customization Kits. Easy to install and expertly-made, these kits come in walnut & maple for the Linea Mini, and a variety of options for the GS3. Our online barista class with ChefSteps will help elevate your espresso knowledge and give you the skills you need to take the next steps toward making delicious espresso and milk drinks on your home espresso machine. Enroll for free and take these classes in the comfort of your own home. 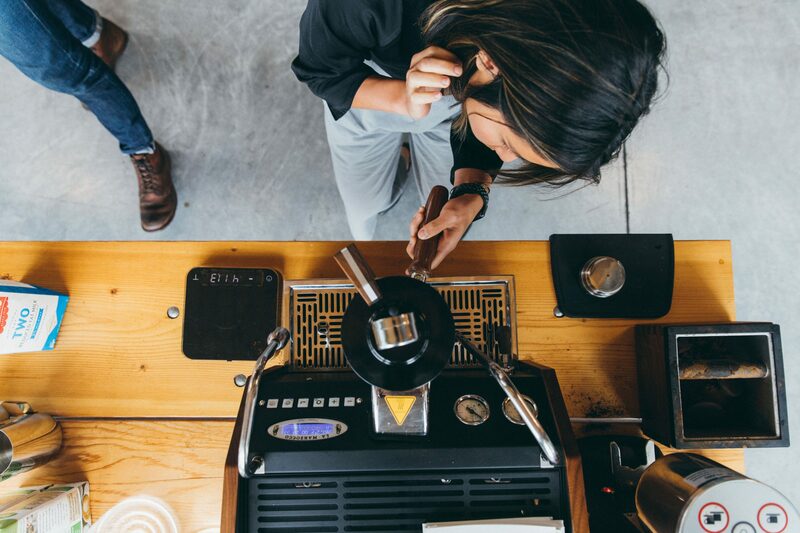 Additionally, we offer rotating espresso classes at our Home Espresso Lab at the La Marzocco Cafe in Seattle, WA. Take a look at our Events Calendar to find classes. Watch the art of your espresso extraction throughout the entire shot with a bottomless portafilter. Made from high quality materials and designed to last a lifetime, these portafilter are an easy way to upgrade the look of your setup. Choose from standard black, maple, walnut, or our new black & stainless or white & brass options. The Story of La Marzocco—a beautiful inside look at the Italian company that helped revolutionize espresso. The first La Marzocco espresso machine was created in 1927. Since then, La Marzocco has been instrumental to the craft and forward motion of the espresso industry. 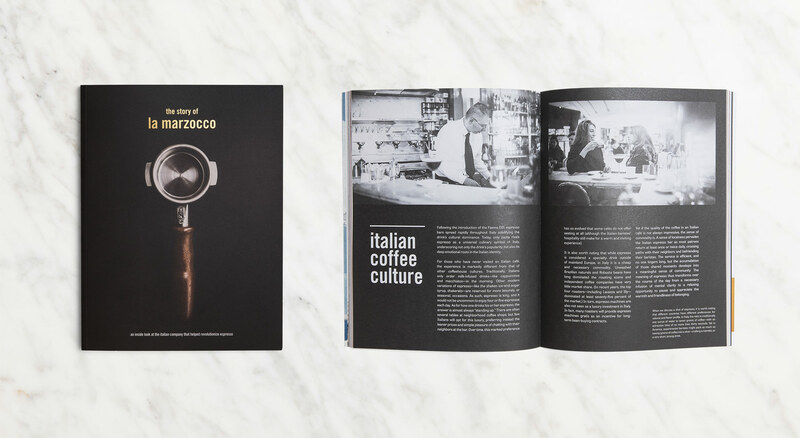 This 120-page book—filled with photography, historical documents, behind-the-scenes information, and more celebrates the La Marzocco heritage and gives a never-before-seen look inside the history of the company. If you make coffee at home, you’re a home barista. 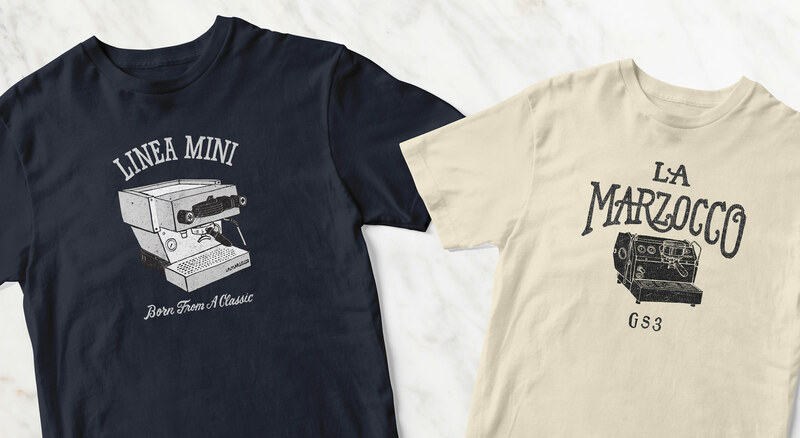 Wear your hobby and passion with pride with one of our home barista t-shirts. Choose from GS3, Linea Mini, or Bottomless Espresso designs. Questions? Reach out! Email us at home.usa@lamarzocco.com or drop us a chat using the little orange Intercom button at the bottom of this page. We are proud to offer monthly financing through our friends at Affirm. If you would like to pay in monthly installments, head to the checkout page and choose “Affirm” as your method of payment.